Felix The Cat, the wonderful, wonderful Cat. He was the first true movie cartoon star, makinghis film debut in the early 1900’s. Shortly after that, he made he transition to print, appearing in newspapers worldwide. you thetime. His large eyes move back and forth, as does his tail. 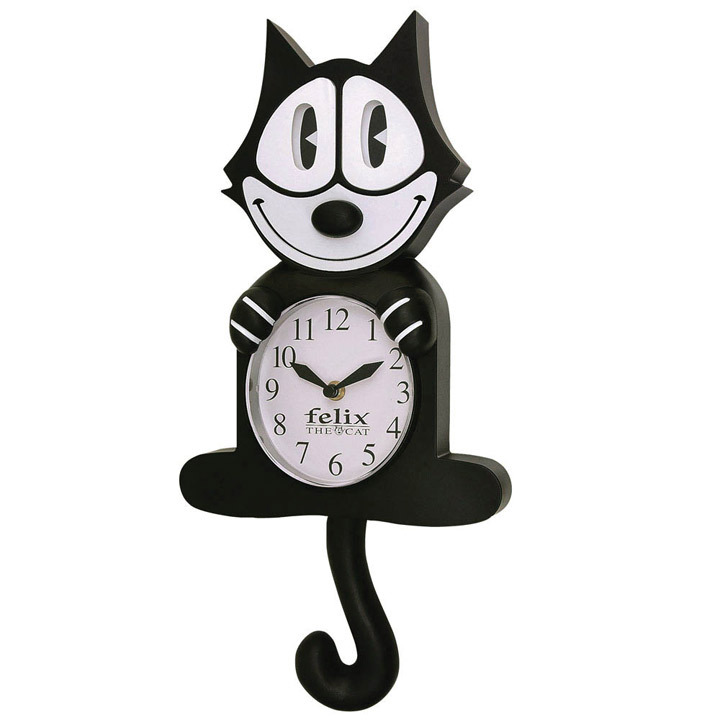 Felix will look great on your kitchen wall, or in a child’s room or office. He’s nearly 16” tall (including tail), requires 2AA batteries (not inclued) and comes with a certificate of authenticity.